Every conversation I have, I am struck by the creativity and resilience farmers, crofters and food producers have shown in responding to the challenges this year’s weather have brought. I am truly impressed with the way that people and communities have pulled together to tackle problems and help each other out. So it is important that they – and everyone in rural Scotland – knows that they have a government which is on their side. And that I as Rural Economy Secretary am fully committed to doing all I can to support businesses and communities. We have made good progress with the 2017 payments – we have now made 99% of Pillar 1 payments and started getting Pillar 2 payments out the door too. We’ve done it faster than we said we would, and earlier than has happened in previous years – it’s far from perfect but we are making steady improvements in getting farm and other rural payments into bank accounts. To help cash flow for the winter ahead, I’ve announced a new loan scheme for 2018 payments – eligible claimants will start receiving letters next week offering up to 90% of what they are due as part of their BPS 2018 payments. A similar scheme last year delivered more than £317million to 13,500 farmers earlier than ever before. My aim is to repeat that huge injection of funds into the rural economy this winter. So I urge everyone to take up their loan offer by September 30 to allow payments to be made early in October to pay for winter food and fodder in particular. 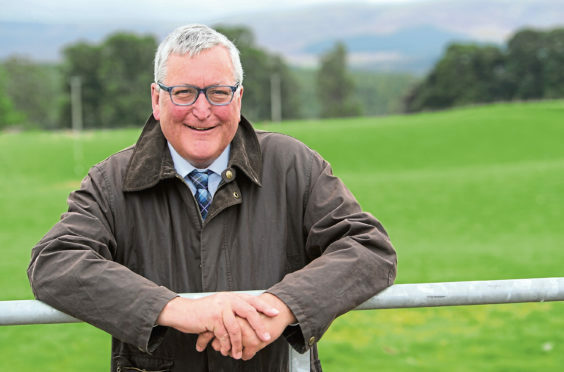 One of the good things to come out of the current weather-related adversity is the willingness of the sector to work together to find solutions – and to support farmers and crofters to find their own solutions. The brilliant campaign being run by NFU Scotland, and the excellent work of the Agricultural Weather Advisory Panel – underpinned by this government’s Farm Advisory Service – are helping people to plan ahead and share good practice, on matters like feed budgeting and suitable alternative feed and bedding materials for livestock. I am also delighted that the Scotch Whisky Association and its members have agreed to meet with me to explore possible options to help meet the potential needs of farmers and crofters for alternative fodder material this winter, such as draff and other distillery by-products, without impacting on our distillers’ valued and vital contribution towards meeting Scotland’s challenging renewable heat and climate change targets. And I would encourage farmers and crofters who require clarification on any of the flexibilities that are currently available under Greening or agri-environment schemes to refer to guidance available on the government’s website or seek advice from area offices. We are doing a lot to address the impacts of this year’s weather – and I will keep considering what more we might do. But we all also know that Scotland’s weather is hugely variable – while we prepare for the worst this winter, a long warm and wet autumn might well help mitigate some of the impacts too. And while we should also remember that Scotland’s weather is central to us producing some of the world’s finest quality produce, people in rural Scotland need to know that when the weather throws us a curve ball, as it has this year, they can count on this government doing all it can within its powers to provide support where required and that is what I am determined to do.